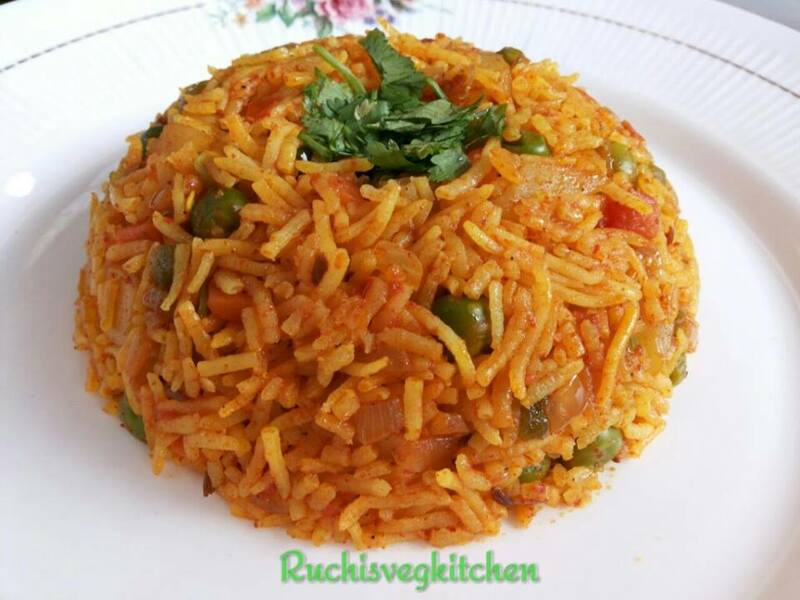 Tava Pulao is very easy rice recipe . 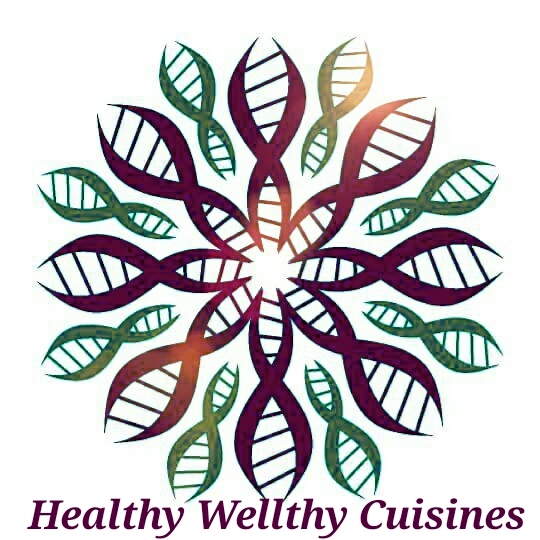 You can use Veggies of your choice and convenience. I love this pulao bit spicy .. 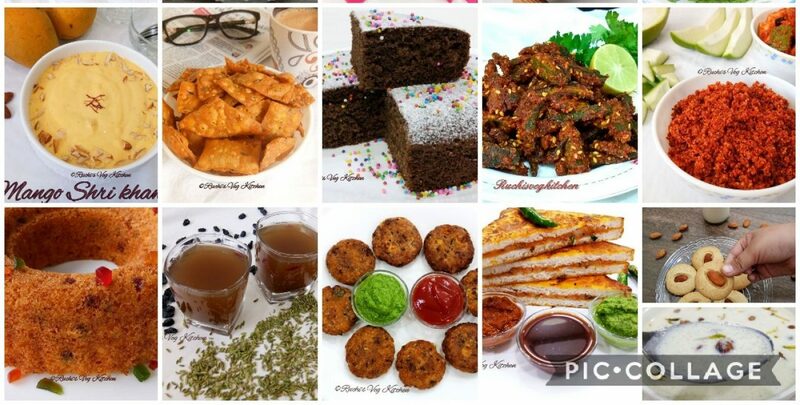 But yes one can definitely make as per own taste. 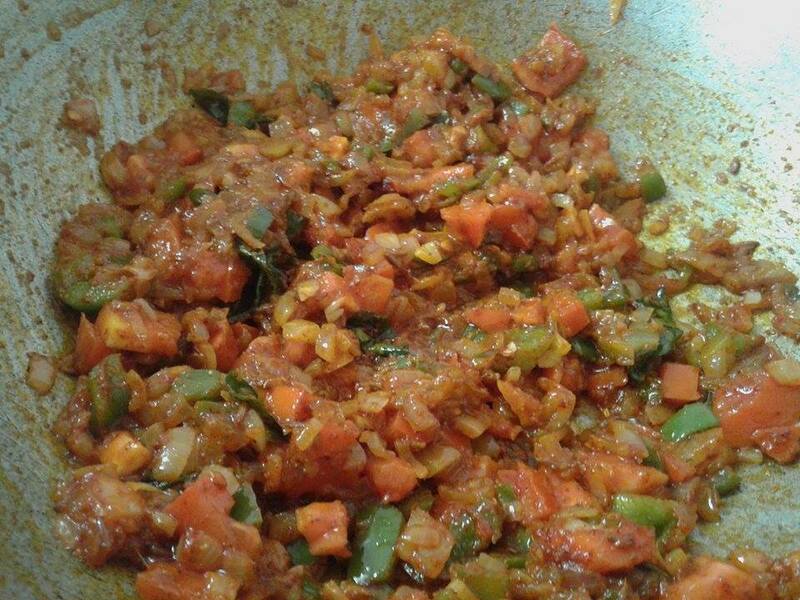 As name says its made on Tava, on which restaurant people generally make Pav Bhaji, Masala Pao etc.. Well as we are making at home we will use kadai or frying pan..
soak the rice in enough water for 20-30 mins. drain and then add the rice to a pot.pour 4 cups water in the rice. add salt and few drops of lemon juice and Ghee.stir. cover and cook the rice till the rice grains are cooked well. The rice grains should be separate also cooked well. 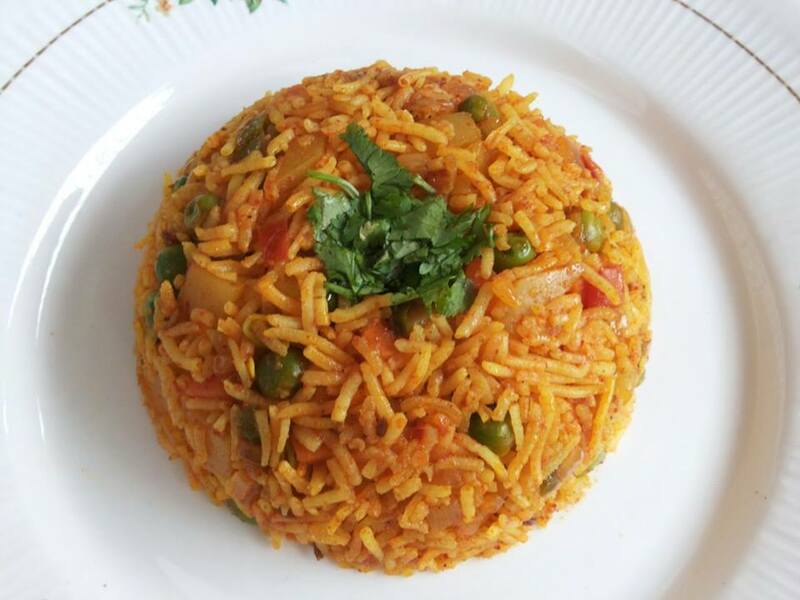 Don’t cook the rice too much or make them mushy this will spoil the texture of the pulao. In a strainer, add the cooked rice and let all the water drain away.gently fluff the rice with a fork.once all the steam has passed from the rice, cover the rice with a lid so that the rice grains on top don’t dry out.let the rice cool and you can proceed with the rest of the recipe. 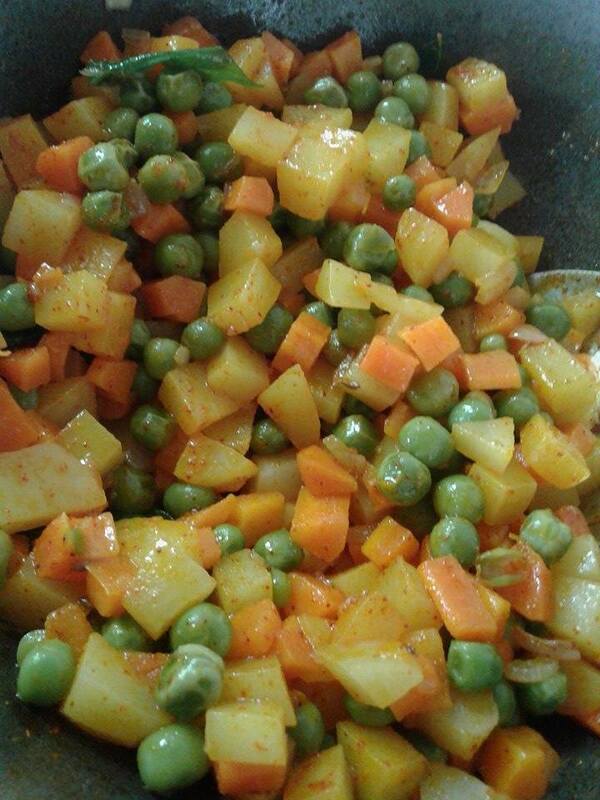 steam the carrot, potato and green peas till all of them are cooked well in a steamer, pan or pressure cooker.keep aside. In a pan or kadai melt the butter. 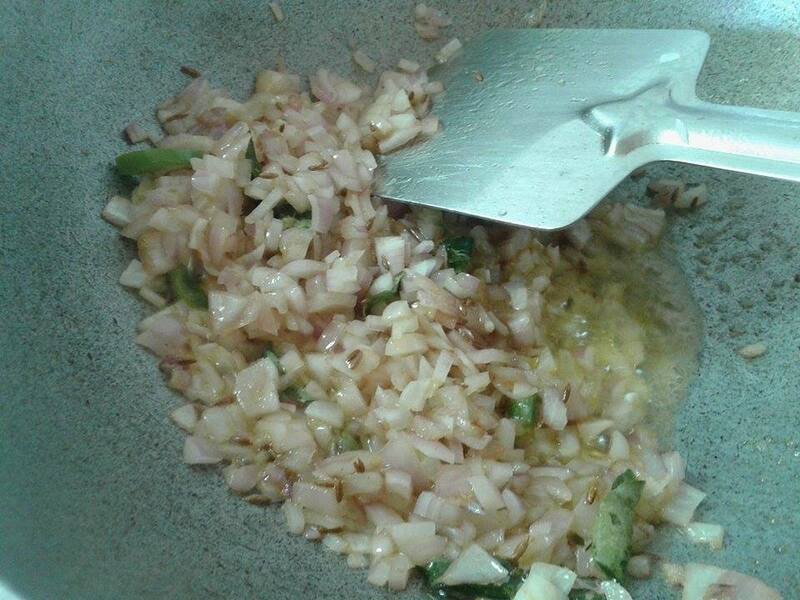 add the cumin and fry them till they get browned.add the finely chopped onions and saute till translucent. Add the ginger garlic paste and saute till the raw aroma goes away. 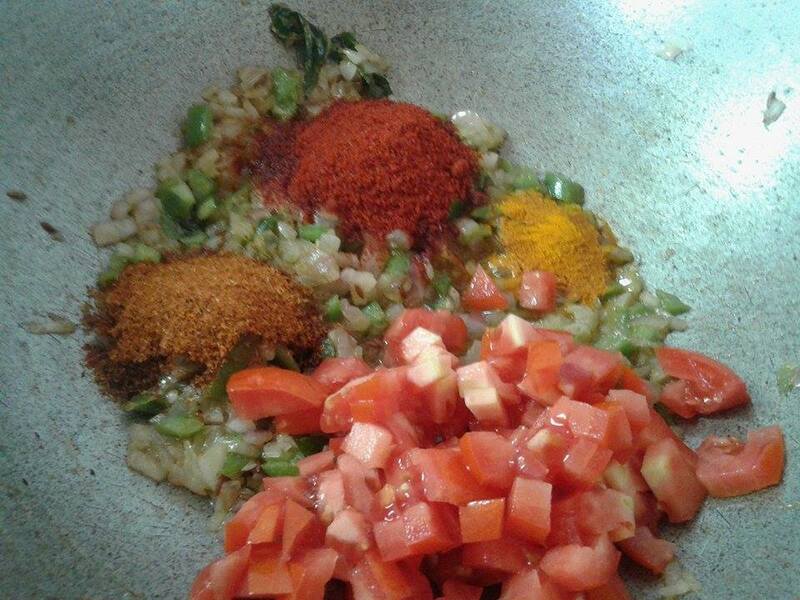 then add the finely chopped tomatoes and capsicum.stir and add all the spice powders – turmeric, red chili powder and pav bhaji masala. add the chopped potato, carrot and peas. 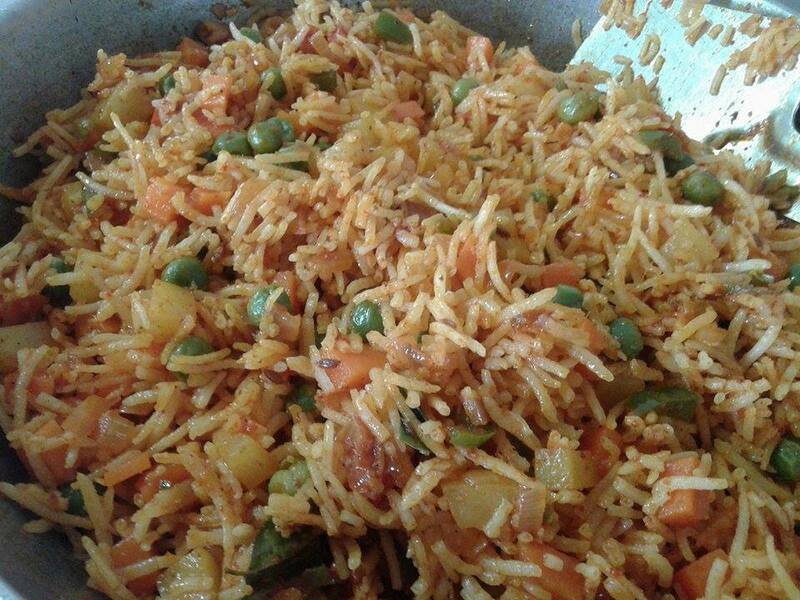 sprinkle salt and stir.add the cooked basmati rice and gently mix the veggies with the rice. 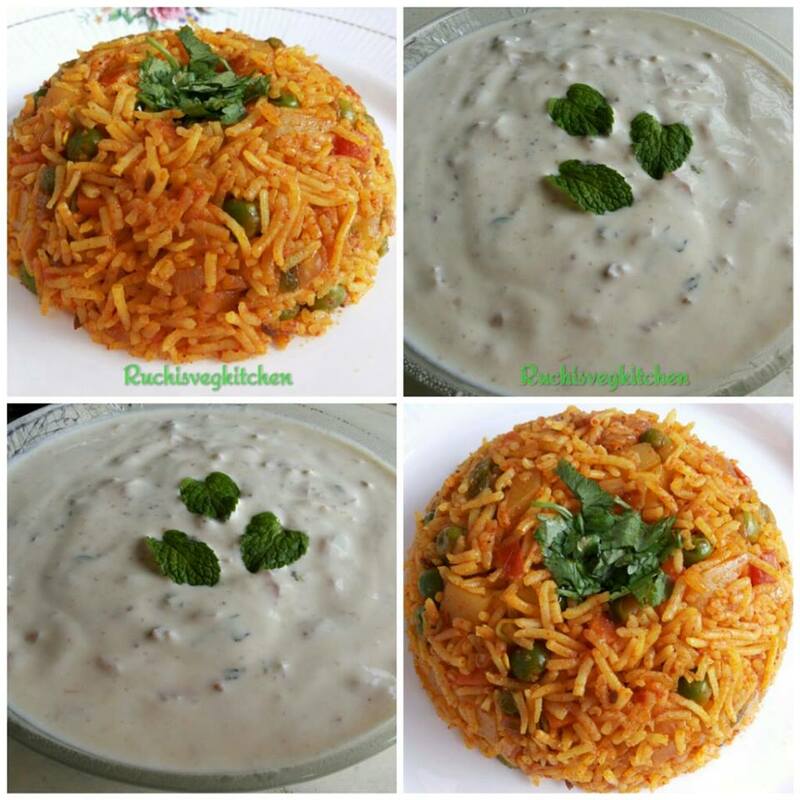 Serve hot with Onion Mint Raita or curd or Cucumber Raita..